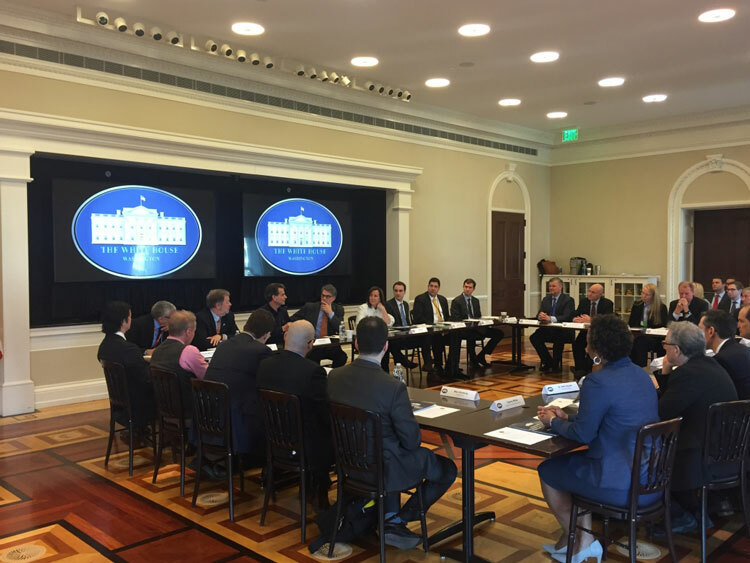 Washington, D.C. — U.S. Secretary of Energy Rick Perry led a roundtable discussion on the use of federal prizes and challenges to drive innovation, particularly when it comes to critical water issues. The group discussed ways to tackle some of the nation’s most important water issues through innovation opportunities. He was joined by government and industry leaders, including Deputy Assistant to the President and Deputy U.S. Chief Technology Officer Michael Kratsios; Case Foundation CEO Jean Case; president of DEKA Research & Development Corporation, Dean Kamen; author and expert Seth Siegel; director of Defense Advanced Research Projects Agency (DARPA), Dr. Steven Walker; and DOE’s principal deputy assistant secretary of the Office of Energy Efficiency and Renewable Energy (EERE), Daniel Simmons. Experts from the U.S. Department of Energy’s (DOE’s) Argonne National Laboratory, past prize winners, prize organizers, innovation experts, water experts, and federal agency leaders also participated in the event. The U.S. Department of Energy (DOE) has been working with interagency partners to develop prizes and grand challenges that will catalyze innovation in critical water issues. This roundtable was an initial step toward launching a potential Grand Challenge or series of challenges. In conjunction with the roundtable, DOE will be releasing a Request for Information (RFI) to formally solicit input from the public on key water issues that could be tackled through prizes and challenges. DOE’s role in water issues has been centered on the energy-water nexus — a term that describes the interconnected nature of present day energy and water systems. From the use of water in hydraulic fracturing, to providing cooling to power plants, to irrigating crops for biofuels, multiple phases of energy production and electricity generation use water. Conversely, extracting, conveying, and delivering water of appropriate quality for diverse human uses requires energy, and treating wastewaters prior to their return to the environment requires even more. Review the RFI at https://eere-exchange.energy.gov/default.aspx#FoaId45c72943-674f-484c-8592-1b95b0906387.